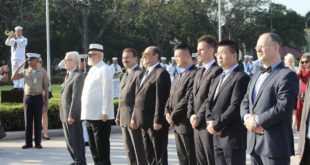 Six years ago this May, Macau embarked on a bold new medical mission—the Sino Luso International Medical Forum.I was lucky enough to have written about the first one. I’d been covering Macau since 2005 so was intrigued to get the assignment—particuarly when I saw the lineup of speakers, such as Colonel Wu Jun of the 3rd Military Medical College in Chongqing. For the past six years, I’ve had the honor to cover the forum from Macau to Hong Kong to Chongqing to Beijing to Manila and Phnom Penh. Below is the first article ever written about Sino-Luso. It originally ran with a publication that has since closed, taking with it its server, also now shuttered and offline. Fortunately, I have this archived article in my data-base—as I do with nearly all of the 37 Sino-Luso International Medical Forums I have chronicled. This first one, though, is incomplete—as one of the main minds of the forum was not mentioned in it. 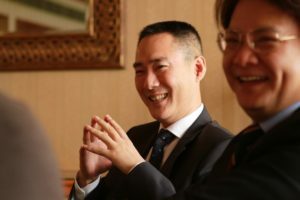 Easy going, he put the focus of the story on Dr. Wu Jun and Dr. Manson Fok. Indeed, that meticulous medical mind is Peace Post co-founder Dr. Billy Chan. Featured in the foreground here with Dr. Wu, Dr. Chan was also in one of the first published photos of the Sino-Luso International Medical Forum (See below). Since it started in 2011, it has trained over 5,000 frontline healthcare workers from Macau, Hong Kong and the Chinese mainland. Here’s to wishing it many more years of success! May peace be with it’s special mission! P.S. The first humble story of this exciting chapter in Chinese medical history is below. The lessons of the great Sichuan earthquake of 2008 are still with Wu Jun. Wu, a professor and senior colonel with the 3rd Military Medical University, tells, “We need to create more ways to communicate emergency relief methods internationally, and we can do this in Macau with our Lusophone friends,and with doctors around the world.” Those are powerful words from a man who was commended for his heroic valor in the Sichuan earthquake by Secretary-General of the United Nations, Ban Ki-Moon. In fact, this was the wonderful and committed tone and tenor of a three-day international medical forum in Macau that ended yesterday. 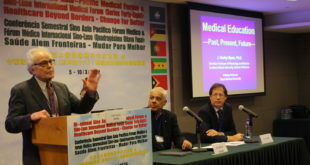 The event was chaired by the Macau University of Science and Technology: Faculty of Health Sciences and organized by the Macau Healthcare Management and Promotion Association (MHMPA). Education indeed—Professor Wu gave a heart rendering account of the, “Organization of Medical Rescue of Wenchuan and Yushu Earthquake”. 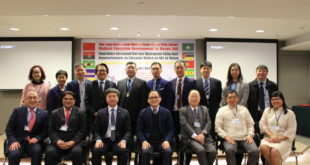 Other Chinese panelists and the workshop leaders included Vice-Director of Health Bureau of Macau, Dr. Chan Wai Sin, Vice Superintendent of Government Hospital, Dr. Lei Wai Seng, Dr Mario Evora, and Dr. Rui Furtado. Altruism aside, the forum, organized with the encouragement of the Chinese Central Government, may take on interesting market forms—from training to technological sharing. On the business front, one can see international medical companies viewing this forum as a way to utilize Macau as a gateway for the Chinese mainland medical market. More immediately for Macau, the forum was a precursor to the launch of a new emergency medical treatment center to open in Taipa this summer. It is hard to say if this will see more Chinese mainland tourists coming to Macau—but at least one guest privately said that this could become another vibrant balance of the Macau tourism experience. 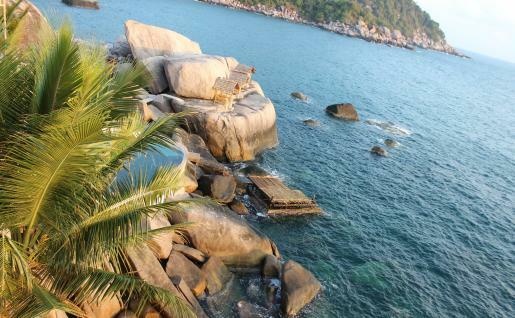 Hong Kong, for example, is already seeing a spike in medical tourism. Macau could also see this rise and at the same time harness it to better improve its already respectable medical facilities and hospitals, said one participant who did not want to be named. Whatever the long term side-effects, the conference seemed to have bolstered the morale of all who attended. 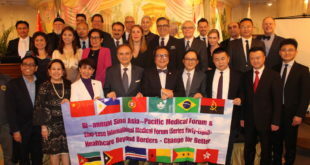 It gave a nice booster shot for Macau’s march toward diversification—namely how medical professionals can come together in Macau for solutions to pressing healthcare and medical emergency problems.